I’ve know Hannah Harrison for a few years through our OK SCBWI group and I always look forward to seeing her at our conferences. It’s been such a delight to watch her career and her family grow. Hannah signing another book for me at our last conference. I may have missed something important during the conference as I couldn’t wait to read through Hannah’s book. I fell in love with the artwork and with Bernice’s grumpy little face right away. I think you will, too. The artwork is delightfully expressive! How Hannah plays with color, light, and perspective enhances the emotion of the story so well. Just looking at those eyes when Bernice receives that “plain white square from the middle” of the birthday cake, it makes you feel sad all over. I don’t want to spoil the rest of the story. Needless to say, things get a bit messy before Bernice figures out her problem. Just a lovely book. I know you will enjoy it, and so will young readers. And that’s not all! She’s also signing another two-book contract with Dial for two yet-to-be-determined books! Hooray! More wonderful books from Hannah to look forward to in the future. Learn more about Hannah E. Harrison here. Follow Hannah on Facebook here. This exceptional story debuts early next week, so hurry and preorder your copy today! During the fantastic SCBWI OK Spring Conference this past March, we all got our Spark Ignited. We gotta fan that spark! Come to our unbelievable Fall Retreat. You won’t want to miss it! Tim Jessell – Tim illustrates the best seller series Secrets Of Droon, Dog Diaries, Amare Stoudemire’s STAT, Stan Lee of Marvel Comics first children’s picture book, and covers for the reissue of Zilpha Keatley Snyder’s Newbery Honor Books. Jessell is also the author and illustrator of two picture books, Amorak and FALCON. Janee Trasler – Janee writes and illustrates clever and funny picture books like the Chickies series, MIMI AND BEAR IN THE SNOW, CAVEMAN A.B.C. STORY, and BENNY’S CHOCOLATE BUNNY. She’s also been known to sing silly songs and play with puppets. Anna Myers – This award-winning Oklahoma author has published 20 books to much critical acclaim. She has won the Oklahoma Book Award four times for SPY!, ASSASSIN, GRAVEYARD GIRL, and RED DIRT JESSIE. She was also awarded their lifetime achievement, the Arrell Gibson Award, in 2012. She writes historical and contemporary fiction for young readers. She also had her first picture book, TUMBLEWEED BABY, published in 2014. 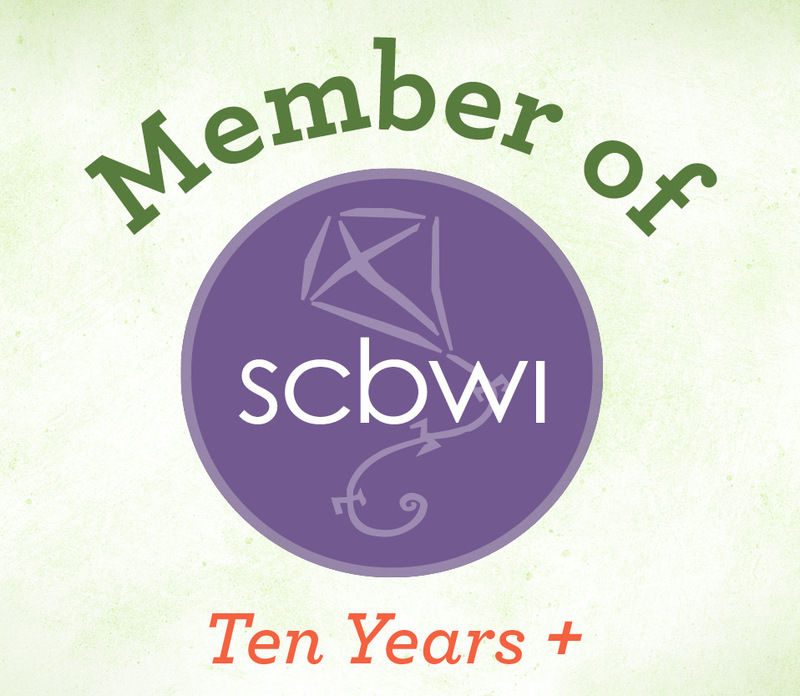 Most importantly, she was our Oklahoma SCBWI Regional Advisor and fearless leader for 14 years. Some of our speakers and manuscript critiquers may be making guest appearances on upcoming sessions of #okscbwichat on Twitter prior to the retreat, so stay tuned! Sometimes in can feel like the arts are being squeezed out of our children’s lives with educational budget cuts gutting arts programs, along with the emphasis on testing, one may worry that creative thought was being pushed out of emphasis altogether. It’s refreshing when city leaders take it upon themselves to thrust children’s literature into the spotlight. (Edmond, Oklahoma—June 26, 2015) Edmond Mayor Charles Lamb and the Edmond City Council have declared July 9 to be named in honor of local children’s author Tammi Sauer. Sauer, a three-time winner of the Oklahoma Book Award, is a dedicated Edmond resident who is committed to working with Best of Books, her local independent bookstore. Each year, Best of Books provides Sauer’s books for her many school visits across the state and region. During Tammi Sauer Day in Edmond, Sauer will be at Best of Books to sign and talk about her latest book Ginny Louise and the School Showdown from 5:00 to 6:30 p.m. Thursday, July 9. She is tentatively scheduled to receive her proclamation at 5:20 and speak at 5:30. Crafts and goodies for kids and refreshments for all will follow. I had the pleasure of getting a sneak preview of this book at our spring conference and it is just adorable. I got to hold this lovely book in my hands and admire shiny details of spot gloss while reading the tale of Ginny Louise, a hedgehog after my own heart. Her approach to dealing with outlaws of the bully variety is delightful and refreshing. Her editors loved it so much, they asked her to write a second Ginny Louise story! You’ll love Ginny Louise, too. But don’t take my word for it, you can read the Kirkus Review here. Tammi has twenty-three books under contract with three of those titles debuting in 2015, including Ginny Louise. The two other titles are: Your Alien (Sterling), and Roar! (Paula Wiseman/Simon & Schuster). Many of us from the OK SCBWI gang plan to be there at Best of Books on July 9th to help Tammi celebrate her special day. If you’re in the neighborhood, or even if you have to travel half a day or so, come on over and join us! It’ll be a grand time! As an additional bonus, Tammi shares some background information about Ginny Louise on her group blog here. If you can’t be there for the big event on July 9th, you can catch her on Twitter as Tammi will be our special guest this month on #okscbwichat! Come join us for a live chat with Tammi on July 28th from 7-8pm CST.